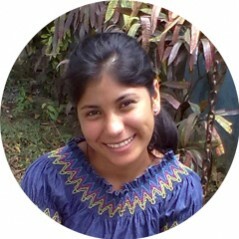 Marilyn Matos, USA: Your job is to be holy. That’s your first job. Marilyn Matos is wife and mother from Jacksonville, Florida. 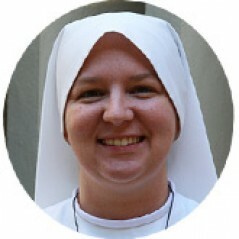 Sr. Clare’s advice made her understand that she is called to be the wife and mother of a holy family. 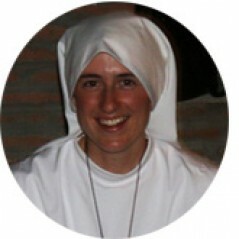 During a struggle in her marriage, Sr. Clare was the instrument the Lord used to recompose that wounded relationship. 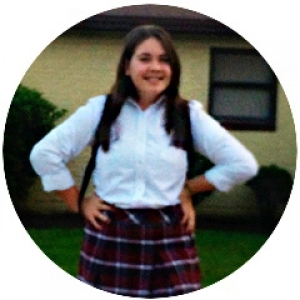 My daughter, Lucia, was in thrid grade at Assumption Catholic School (Jacksonville, FL), when there were just four sisters here. It was around 2006 or 2007. The first time I remember hearing about the sisters was over the Catholic radio. That was the first time I heard Sr. Clare. I was driving my car and the radio was on. She was talking about how she got to be a nun and I was laughing because she was very funny. She was talking about how she would go out and go to parties, and how Jesus kept going after her, and finally she gave in. I remember when I was listening in the car I thought of the nuns back in New York. 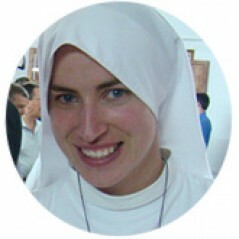 I went to school with nuns and Sr. Clare was the opposite of the nuns back at home. There were some nuns that I liked, and some I didn’t. 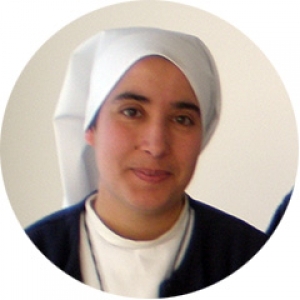 There was this particular nun that I really got to like a lot, Sr. Marieta. 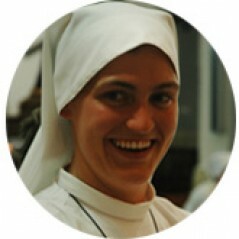 Sr. Clare made me think of Sr. Marieta, also. 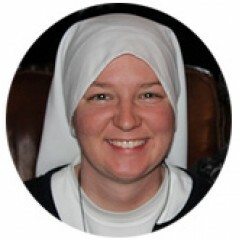 Sr. Clare announced that she was going to be at Assumption School. I started tearing up a little bit in the car. I thought I’d like my kids to come to Assumption because there were sisters here. Something happened that was not so nice at one particular school that made us come to Assumption. I heard that the sisters were having Sunday classes at the Church for the little kids. 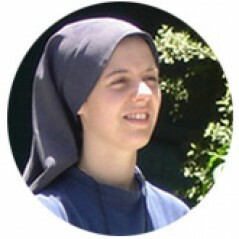 That’s when Sr. Clare met my two little girls and my son. As the years went by, my older daughter got to go to the camps and my son got to go to the camps with Fr. Henry and the brothers. 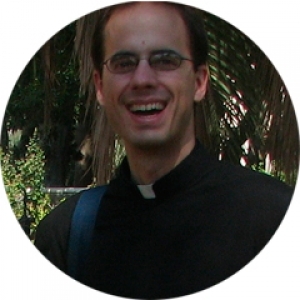 My husband and I were going through a rough time in 2008 and the sisters were having the Holy Week Retreat. 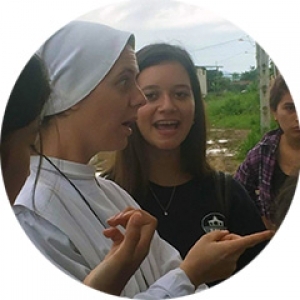 Financially, I was unable to go, but Sr. Clare called me at the last minute. I picked up the phone and it was Sr. Clare’s voice: “Marilyn, hurry up and pack up. We have an anonymous donation, and you can go.” I wasn’t with my husband at that time, so it was just my kids and I. I thought we were still going to have a holy week. During the retreat, God was telling her to tell me not to worry, and that He was going to help us out. And He did. My husband and I are back together. 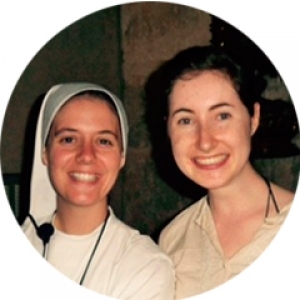 God helps us through other people and through Sr. Clare, He helped through that bad time. The Pope is Right There!